Mandarin Chinese For Kids:Why children should learn Chinese? Programs offering Mandarin Chinese for kids have become tremendously popular in recent years, as parents and educators anticipate a changing world where English is not necessarily the dominant language. China is currently the second largest economy in the world. It is doing the groundwork to be the top economy, soon enough. Biggest factories in the world are now in China. The country that produces most products is also China. Conversely, the biggest export market right now in the US is China. Maybe when your child becomes of age to have a business or job, your child may have an opportunity to deal with economic leaders in China. Speaking Chinese for business transactions will definitely prove to be a handy skill. Will your children be ready to meet and compete with the new kids on the block? To address this issue, many elementary schools throughout the U.S. have initiated programs with Mandarin Chinese for kids which helping children learn Mandarin Chinese to prepare for the world that awaits them. Compared to ten years ago, there are now three times as many Chinese language programs in the country, with up to 50 thousand children recruited in Chinese classes in elementary and secondary school, according to published reports. Improved mental ability. Studies show that kids who are fluent in two or more languages, usually are more skilled in looking for different ways to solve problems. Since Chinese is a language that sounds way different from English, being proficient in both languages will trigger more mental associations whenever one word or phrase is thought over. Who knew learning Chinese can make people smarter? Sensitivity to different cultures. Kids who know other languages are better able to identify with children of other races and cultures, but more especially so when the person comes from the country that the child knows the language of. Making friends with people of other cultures helps make children aware of respecting diversity. They are also able to communicate with other children and this opens their eyes to the situation of children with different backgrounds. But… What if the school doesn’t offer Mandarin Chinese for kids? Despite the increased popularity of making Chinese programs available for kids, many schools are either unable or unwilling to embrace a new language curriculum. Often, school systems struggle to financially support preexisting linguistic programs, much less introduce new ones like helping children learn Mandarin Chinese. Finding qualified personnel can also be an issue. The No Child Left Behind Act requires that public school teachers be certified by an American university. Though Chinese native instructors might seem a logical choice, they cannot teach Chinese for kids in a public school without specific (and costly) accreditation.Many parents have turned to after-school tutors. Others have discovered multimedia immersion programs for children that can be used at home. 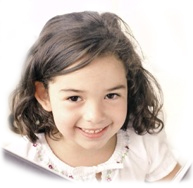 Take Online 1 on 1 Chinese lessons – Kids Chinese course is also an excellent chance,Flexible,Convenient,Interesting…. Here the parents can simply choose two steps to guide your kids into interesting Chinese language world. 1. Take online lesson with native teacher, get professional guide for kids at beginning , Free trial now ! 2.Take practice through excellent software, Click Here!